Alan Freeman: How Did 1929 End? This is video from a roundtable on the economic crisis held during this year’s Rethinking Marxism conference in Amherst Mass. Each panelist’s presentation stands on its own so they need not be viewed in any specific order. A brief bio proceeds each video as well as my own short summary of their argument. This is merely to help viewers decide what to watch and to give some brief context for the uninitated. The paper which my own talk is based on will be linked beneath my video. Andrew Kliman is a professor of economics at Pace University in New York. He is a leading figure in the Temporal Single System Interpretation (TSSI) which seeks to refute various claims of inconsistency within Marx’s value theory. 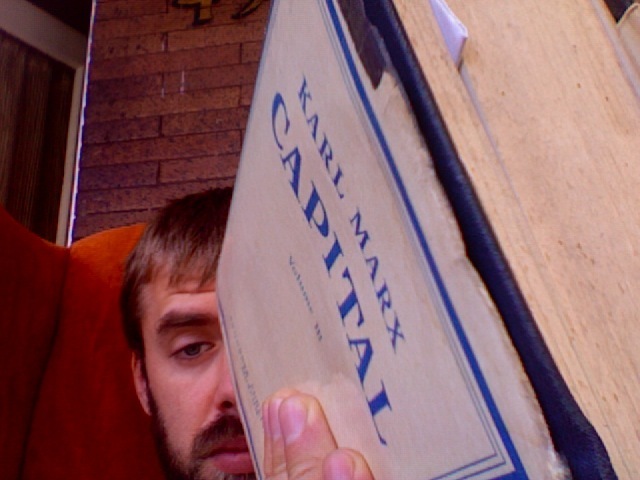 His book “Reclaiming Marx’s Capital” is an important work in the field. I have discussed these ideas in my video “What Transformation Problem?”. I have posted an interview with Kliman from April of 2009. The TSSI also has important implications over debates as to the validity of Marx’s theory of the Tendency of the Rate of Profit to Fall. Kliman has just completed some important empirical research into the origins of the current crisis which claims that the profit rate has been falling since the 1940’s and that this long-term decline in profit rate sets the context for understanding this crisis. Kliman’s paper for the Rethinking Marxism conference connects the theory of the falling rate of profit to the contradiction within the commodity form itself, between the use-value and exchange value of a commodity. He then meditates on the political implications of such an understanding of capitalist crisis. AlanFeeman works as an economist for the Greater London Authority and is currently a visiting professor at the University of Manitoba. He and Andrew Kliman edit the journal “Critique of Political Economy”. He and panelist Radhika Desai co-edit the book series “The Future of World Capitalism”. Freeman is an influential figure in the TSSI field. You can find his papers at his website. In this talk Freeman extends his critique of contemporary marxist academia into a critique of the way in which the concept of an economic “law” is understood. Seeking to distance Marx from positivist conceptions of law Freeman invites us to think about the way in which free will and human action are brought to the foreground during a crisis, requiring great, potentially violent, exogenous acts in order to restore capital accumulation. As far as I know Freeman has not published any papers on this topic yet though you can hear him speaking about similar matters at his Left Forum talk. If you write to him he might be able to send you a finished draft of this paper. Radhika Desai is professor of political studies at the University of Manitoba. As well as fore-mentioned collaborations with Alan Freeman, she is author of “Slouching Towards Ayodhya: From Congress to Hindutva in Indian Politics” and “Intellectuals and Socialism: ‘Social Democrats’ and the Labour Party”. Interested viewers might check out her article Neoliberalism Self-Destructs and her inteview on Against The Grain on the topic of imperialism. Desai is a defender of Keynes and sees him as presenting a more radical critique of capitalism than is usually acknowledged. See Desai and Freeman’s “Keynes and the Crisis” for more on this angle. Her paper in this panel follows in that spirit, arguing that a full understanding of this crisis is not possible without addressing problems of effective demand. The relevance of the demand problem is much debated among Marxists so viewers may want to pay extra attention to her argument. David Calnitsky is a graduate student at the University of Wisconsin-Madison. He is one of the people behind the fantastic website “Radical Perspectives on the Crisis” which I highly recommend. Calnitsky’s paper was a critique of the “Monthly Review school” and their theory of crisis. This is a theoretical tradition associated with Paul Baran and Paul Sweezy and their notion that in the 20th century capitalism entered a monopoly stage which differed in key ways from the competitive capitalism of Marx’s time. Monopoly prices meant that the law of value did not hold in the same way and that capitalism’s crisis came, rather than from a falling rate of profit, from long stagnation caused by underconsumption. Calnitsky’s paper deals less with a critique of underconsumption and more with a critique of the notion of monopoly used by the Monthly Review school. Brendan Cooney is the handsome author of this blog. The text of my paper is here. This entry was posted in Econ 303- Crisis and tagged 1929, alan freeman, andrew kliman, brendan cooney, capital, capitalism, class, crisis, david calnitsky, economics, falling rate of profit, keynes, labor theory of value, marx, monopoly, radhika desai, underconsumption. Bookmark the permalink. why is kliman putting his sunglasses on and off?